Falling from height is one of the leading causes of death and injury in the workplace. It is therefore essential that measures are taken to protect workers against the risks of falling from heights. Employers must setup the workplace to prevent employees falling from overhead platforms, elevated work stations or into holes in the floor and walls. Developing and implementing comprehensive fall protection programmes in the workplace can prevent many of these injuries and fatalities. It is the employer’s responsibility to develop a fall protection programme that complies with mandatory regulations. The most effective programmes are those where employers work closely with their workers to identify fall hazards and to jointly develop a comprehensive fall protection programme that either eliminates fall hazards or provides appropriate protection against them. Employees must also use equipment in the manner described by the manufacturer. Employers must make sure work is properly planned, supervised and carried out by competent people with the skills, knowledge and experience to do the job. You must use the right type of equipment for working at height. Take a sensible approach when considering precautions. Low risk, relatively straightforward tasks will require less effort when it comes to planning and there may be some low risk situations where common sense tells you no particular precautions are necessary. Before the installation of each working at heights and safety solution a complete audit and risk assessment is carried out to determine the risks and associated hazards and the best control measures to implement. When assessing each building structure or access issue, hazard identification should be carried out to determine the potential risk of injury, with solutions being selected or prioritised within a five level hierarchy of controls, featuring: elimination, suspension, engineering controls (isolation), administration control, and finally the use of PPE. It is important to note that risk assessment needs to be carried out prior to any work at heights activities. Whenever possible, work at heights activities should be eliminated or substituted. Using temporary edge protection systems (such as guardrails) shall be the first option in designing any fall prevention systems. The use of anchorages and lifelines with PPE shall be considered if the option of having temporary edge protection is not feasible. A well-conceived fall protection programme begins with identification of all fall hazards in the workplace. As a general rule, any time a worker is at a height greater than 4 feet (1.2m), a fall hazard exists. Where a fall hazard exists, there are two acceptable options: eliminate the hazard, or provide protection against it. Where hazards can be eliminated, the employer must do so. It may be possible to eliminate or prevent the fall hazard by changing work procedures, redesigning the working environment, installing a guardrail, or using passive fall protection. When this is not possible, use of personal fall protection may be required. Fall protection can be a restraint system to keep the worker from reaching an area where there is a fall hazard, or a personal fall arrest system to allow the worker to work at height. Should the task involve working at heights where there is a risk of injury from falling, the employer or principal shall implement risk control measures. The appropriate control measures selected to eliminate or reduce the risk of fall from height shall be carefully assessed and implemented to ensure effectiveness. The control of hazards and reduction of risks can be accomplished by the workplace safety and health hierarchy of control mentioned above. These controls are not usually mutually exclusive. For example, engineering controls can be implemented concurrently with administrative controls. The following are some details of these controls. Elimination refers to the total removal of the worker’s exposure to the hazards, effectively making all the identified possible accidents, incidents and illhealth impossible. It is a permanent solution and should be attempted first, as recommended in the Hierarchy. Once the hazard is eliminated, all other controls, such as the use of fall prevention and protection systems would no longer be required. Substitution involves replacing a process or product with a less hazardous process or product to mitigate the risk. For example, using mobile elevated work platforms (MEWPs) instead of ladders to reach high places. Engineering controls are physical means that reduce the likelihood of occurrence or severity of consequence of the mishap. These include structural changes to the work environment or work processes, erecting barriers to interrupt the accident transmission path between the worker and the hazard. For example, temporary edge protection systems such as guard rails can be installed at open sides to prevent persons from falling over. Administrative controls eliminate or reduce exposure to a hazard by adherence to procedures and instructions. It is a useful means to limit the frequency and duration of exposure to hazards and the number of persons involved in the task. For example, safe work procedures can be used to guide workers on the safe use of temporary work platforms. PPE should be used only as a last resort after all other control measures have been considered. The success of this control depends critically on the protective equipment being chosen correctly, fitted correctly, worn at all times and maintained properly. There are a number of ways employers can protect workers from falls, including through the use of conventional means such as guardrail systems, safety net systems and personal fall protection systems, the adoption of safe work practices, and the provision of appropriate training. The use of warning lines, designated areas, control zones and similar systems are, for example, permitted by OSHA in some situations and can provide protection by limiting the number of workers exposed. Whether conducting a hazard assessment or developing a comprehensive fall protection plan, thinking about fall hazards before the work begins will help the employer to manage fall hazards and focus attention on prevention efforts. If personal fall protection systems are used, particular attention should be given to identifying attachment points and to ensuring that employees know how to properly use and inspect the equipment. The following references aid in recognising and evaluating fall protection hazards in the workplace. Following hazard identification, a written site-specific programme should be developed with detailed work procedures to protect employees. The plan should state what fall prevention and protection measures are to be used, how they are to be used, a rescue plan, and who is responsible for overall supervision and training. This programme need not be elaborate, but should cover the basic elements and should be clearly conveyed and understood by all participants. The employer must know the types of fall protection products that are available, and decide which would be most suitable for the workplace. By understanding how fall protection products operate and knowing the differences in product functions, the employer can select products that are best suited for workers and the hazards they face. All workers must be trained under careful and competent supervision before using any fall protection products. Live hands-on training for all users is essential to help understand the capabilities and limitations of their personal protective equipment. Training promotes confidence and should be conducted as an initial introduction and repeated periodically for review and additional practice. Manufacturer's user instructions, warnings, cautions and equipment limitations should be reviewed and understood by the employees. Training should be site specific and may need to cover more topics than are listed here. Personal Fall Arrest System (PFAS) is a collection and arrangement of components that work in conjunction to arrest a user in the event of a fall from height. It typically consists of an anchorage, connecting device and full body harness. The system may also include components such as a lanyard, deceleration device, lifeline or a combination of these. Components of a personal fall arrest system, namely anchorages, body support and connections are outlined in the following sections. In order to provide the desired level of protection, each of the components must be in place and properly used. 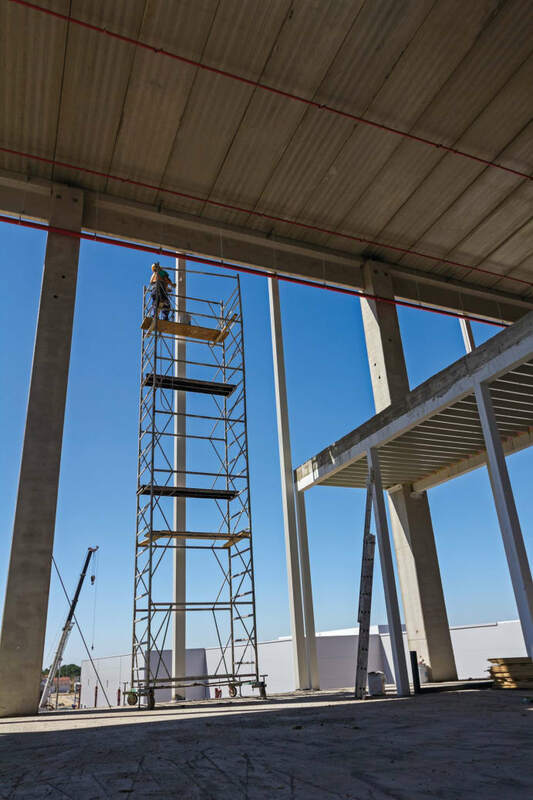 While each of these components is vital to worker safety, the connecting device is the critical link in assembling a safe fall protection system since it bears the greatest force during a fall. Careful consideration must be given to the selection, materials, construction and inspection/maintenance of fall protection equipment before, during and after a connecting device has been selected. An anchor is a fixture or place for the secure attachment of lifelines or persons (e.g. an eyebolt is a fixture and a steel beam is a place). An anchor point, also known as anchorage, is a part of an anchor for other equipment in a personal fall arrest system to be attached to. An anchor device is an element or series of elements or components of a PFAS, which incorporates one or several anchor points. A full body harness is a body support device that distributes fall arrest forces across the shoulders, thighs and pelvis of its wearer. It has a centre back fall arrest attachment for connection to the fall arrest connecting device, and may have other D-rings for use in worker positioning, fall prevention, suspension or ladder climbing. Note that the only form of bodywear acceptable for fall arrest is the full body harness. The connection sub-system is a critical link between the body support and the anchorages or anchor devices. It can be an energy-absorbing lanyard, selfretracting lifeline (SRL), rope grab, or a retrieval system. The means of connection will vary depending on whether the user is equipped for a personal fall arrest, work positioning or travel-restraint system. The connecting means for personal fall arrest is often a lanyard equipped with an energy-absorbing element to reduce the energy transmitted to the user’s body in the event of a fall. Self-retracting lifelines or fall limiters reduce free-fall distance as well as reducing energy loads from a fall. The connecting means for positioning and travel restriction is often a simple lanyard constructed of rope, web or wire rope. These may also include specialised positioning assemblies for rebar work, constructed of chain or web. All positioning devices are intended to reduce the potential for free fall to a distance of less than two feet. Restraint lanyards are specified in length to prevent the user from reaching a fall hazard zone. A full body harness is a component of a body holder device that connects a user to a personal fall arrest system. It comprises components such as fittings, straps, buckles or other elements that could support the body of a user and restrain the user during and after the arrest of a fall. 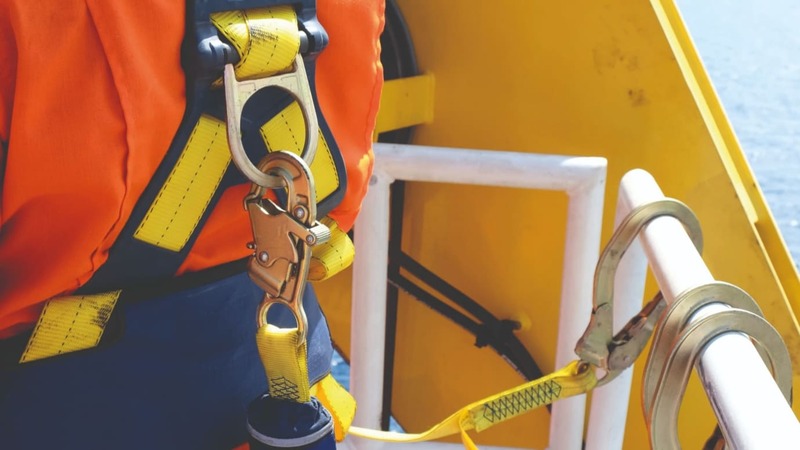 Some types of full body harnesses may incorporate other fittings that allow connection with other types of safety systems, such as a work positioning system. Connectors are components that are used to link other personal fall arrest system components together, for example, a lanyard to an anchor. Connectors that have a closure function, which provides protection against unintentional opening of the gate should be used (e.g., by means of an automatic locking device or screw sleeve). There are three main components for connectors; they are ‘body’, ‘gate’ and ‘locking gear’ (also known as ‘safety latch’). Energy absorbers are a component which limits the arresting forces applied to the personal fall arrest system, anchor device and user by dissipating the kinetic energy generated during a fall. When a sharp downward force (i.e., a fall) happens, the energy absorber deploys itself and absorbs the energy generated, decelerating the user over a short distance and thus reducing the impact force to the user. It should be noted that an energy absorber can be activated partially. 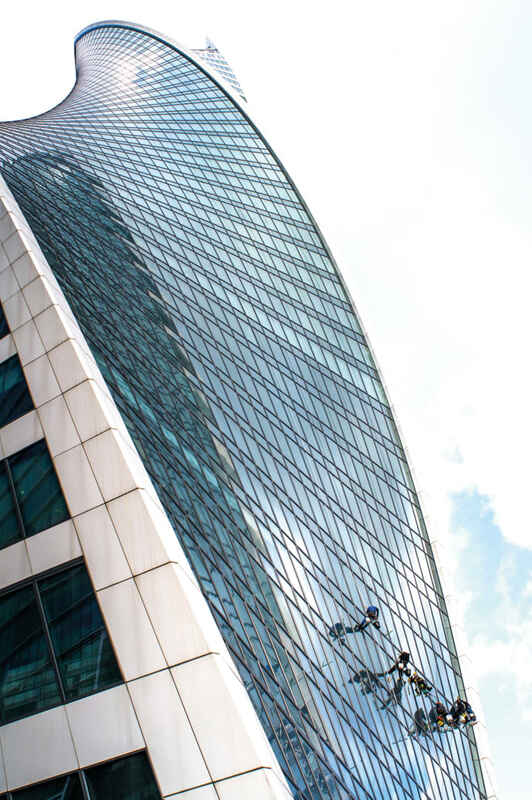 With reference to BS 8437: 2005 – Code of practice for selection, use and maintenance of personal fall protection systems and equipment for use in the workplace, this could happen if it is being subjected to a force above 2kN without a fall occurrence. To avoid this scenario, the user should not put their weight suddenly on any component including the energy absorber. All energy absorbers shall have protective coverings to shield them against external contaminants, adverse climate, sharp objects, and so on. Lanyards are a finished length of flexible material, which is often used in conjunction with an energy absorber. An adjustable lanyard incorporates a designed mechanism that allows the shortening and lengthening of its length. An energy-absorbing lanyard (also known as ‘shock absorbing lanyard’) is a type of lanyard with an integrated energy absorber. An energy-absorbing lanyard of a correct length may be used for travel restraint purposes provided that it will not be subjected to a force that could deploy the integrated energy absorbing material. A work positioning belt is used as a form of body support (which encircles the user’s waist) that works in tension to prevent a worker from falling. A travel restraint belt is a form of body support (which encircles the user’s waist) that prevents the user from reaching zones where the risk of a fall from height exists. A work positioning lanyard is a component that links up the work positioning or work restraint belts to an anchorage. It is important to take note that the work positioning and travel restraint belts (with lanyard) shall not be used for any form of fall arrest purposes. When project managers deem a task too impractical or dangerous for a ladder, they might opt for a scaffolding system. While scaffolds might offer more platform space than ladders, they can be just as dangerous if not used correctly. Scaffolds can provide variable working heights and larger elevated platforms, where ladders cannot. Still, they create some of the same safety challenges. For instance, scaffolding safety begins with setup. Sections need to be correctly assembled to provide a stable framework, and a worker still needs to pull boards up the side of the scaffold to provide a platform to work on. If a scaffold is improperly assembled, it can collapse underneath the weight of workers, tools and materials. Unlike 66 scaffolding, low level scissor lifts come assembled and can be pushed, or in some cases driven, onto hard, level surfaces. Workers save time because they don't have to carry cumbersome poles, bulky deck pieces and tools. Most units are small enough to fit through doorways and into elevators, which eliminates the need to carry scaffolding frames up or down multiple flights of stairs. On a low level scissor lift, workers remain on the platform and have no sides to climb or decks to assemble. Lifts also offer a fully encircled work platform with 38- to 42-inch-tall railings and toe boards. The railings help prevent workers from falling from an elevated lift, while toe boards protect people below from falling tools and materials. For added fall protection, some lowlevel- access lifts come with lanyard tie-offs. Workers have the option to attach their safety harnesses or lanyards to the tie-off and the system will catch them if they start to fall. On selfpropelled lifts, the user can focus more on the wheels' path to avoid obstacles and uneven work surfaces while driving to the next location. Push-around units have automatic locking mechanisms on the wheels to prevent the unsafe surfing practice. When lifts are part of that tool and equipment mix, remember to inspect them daily and before each use. It also is important to have a qualified aerial lift professional perform required annual inspections. Annual inspections keep users safe by addressing any mechanical issues that might arise through normal wear and tear. 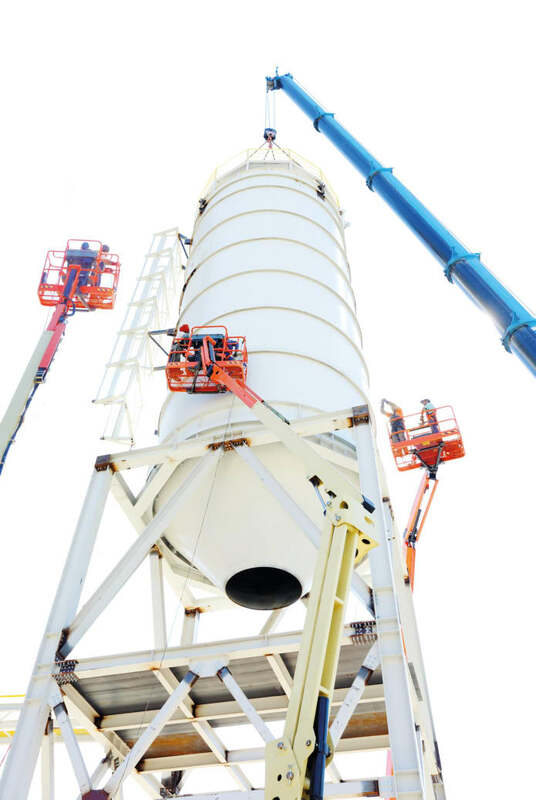 By using low level access lifts rather than ladders and scaffolds, contractors and project managers can continue making gains in both safety and productivity. And they can be confident in knowing the masterpiece is more than the finished project; it's the time and people that have been spared delays and injuries in the process of completing it. When temperatures rise, workers that work at heights in construction and industrial sites and those that are exposed to the sun have an increased risk of developing heat stroke, dehydration and other heat-related illnesses. Workers should protect themselves by wearing appropriate clothing and following company safety policies. The type of clothing the worker wears has an effect the comfort and safety when working at heights during the daylight hours of the hot summer season. Workers have to choose clothing made from lightweight materials such as linen and cotton, as these materials help sweat evaporate. They should avoid synthetic fabrics whenever possible, as they are heavier and more likely to cause discomfort. Dark colours absorb heat, so they should wear clothing made from white or other lightcoloured fabrics. This should be as per employer's dress code when selecting items to wear at work. 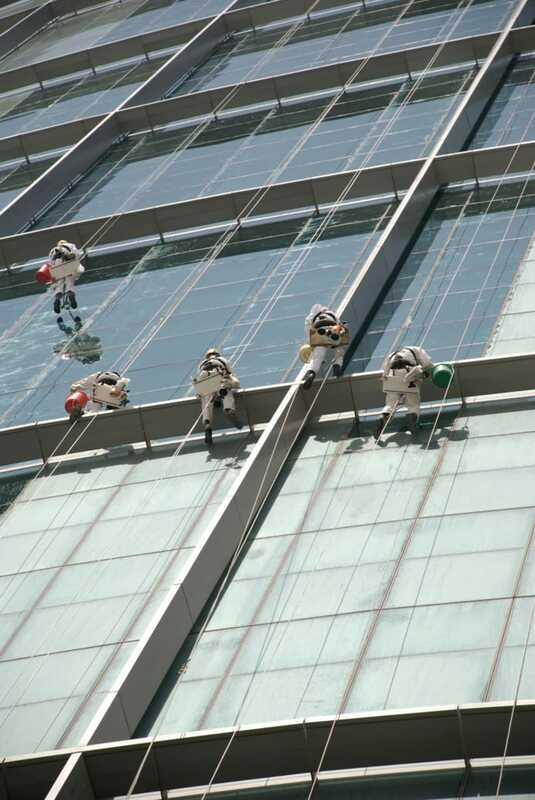 In addition to the measures the workers have to take when working at height, if they are working under the direct sun, they should also consider wearing the appropriate PPE that will protect them from sun stroke or heat stroke. If the job requires working outdoors for any period of time, steps to avoid sunburn should be taken. Sunburn causes skin redness and irritation, with severe cases resulting in the formation of blisters on the skin. Having sunburn also causes loss of fluids and makes it difficult for the body to cool itself. Prevent sunburn by applying sunscreen 30 minutes before going outdoors. The worker should wear clothing that covers the arms, legs and head to minimise exposure to the sun's ultraviolet rays. Sunglasses with UV protection will protect the eyes from damage that can lead to cataracts later in life. Summer work conditions depend on the temperature, the amount of humidity in the air and the amount of radiant heat generated by the sun. If the job requires workers to wear protective gear, the worker may also have a more difficult time working in the heat than someone who wears comfortable short sleeved shirts and lightweight pants. Taking a break for at least five minutes can reduce heat stress and help prevent workers from developing heat illness. The worker should take breaks in the shade, as sun entering windows and open doors affects the level of heat exposure. Workers must avoid taking rest breaks in hazardous areas, as this increases the risk of sustaining a work related injury. During the break times, the worker should get enough to drink and should not wait until they are thirsty to start drinking water. It is recommending to drink two to four glasses of cool liquids or water each hour when engaging in physical activity in a hot environment.